Mizoram Police FC carried their good form in round 12 with a 4-3 victory over Chanmari West FC. After an uninmpressive start to the season Mizoram Police FC have seen themselves rejuvenated under new coach Lalbiaksanga Colney, winning 4 of their last 6 games. Chanmari West FC scored early on in the match with a strike from Jacob Lalrawngbawla. But the lead lasted only 7 minutes as defender Lalmawizuala unintentionally put the ball in his own net. They retook the lead right before halftime with a fine strike from Jacob Lalrawngbawla. 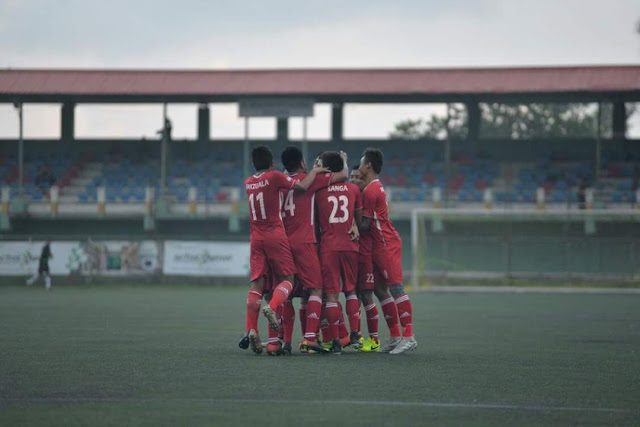 Mizoram Police FC switched gears in the second half and score two in three minutes. V. Laltanpuia finding the net in the 59th minute and F. Lalrinpuia scoring in the 62nd. Chanmari West FC managed to equalise late on through Vanlalthlamuana and while it looked like they had done enough for a point Mizoram Police FC sealed three points when Lalfakzuala scored their fourth in the 89th minute. Mercurial attacker F. Lalrinpuia was named man of the match.